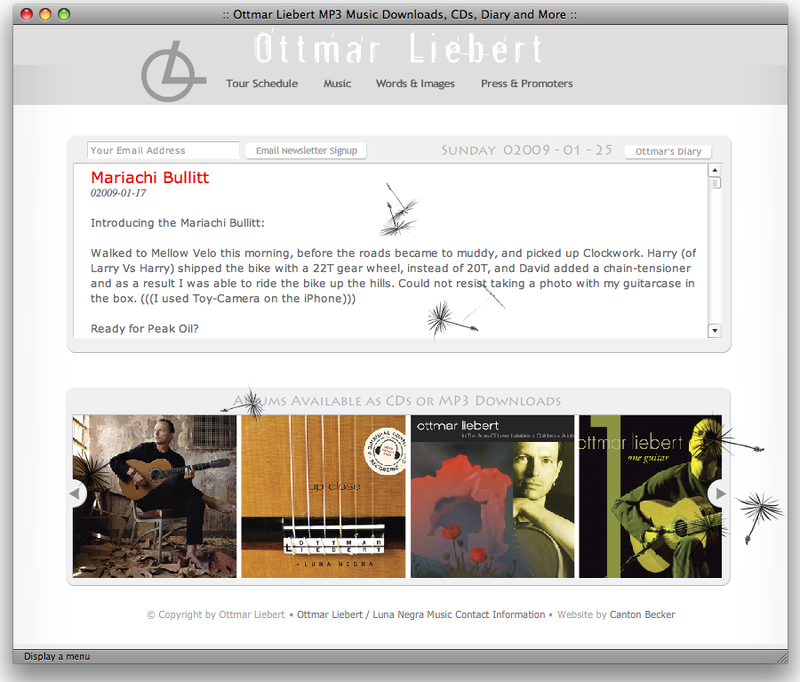 The last time I did a complete redesign for platinum-selling flamenco guitarist Ottmar Liebert was in 1995. By 2008, he was ready for something new and fresh, something that pushed the envelope while staying rooted with his zen-sensibility for elegant, clean, functional design. An MP3 downloads shopping cart.